SAN ANTONIO—San Antonio Symphony announces its 2018 – 19 High School Residency Program. Started in 2016, the residency program continues with its mission to enhance the learning of students involved in music programs throughout the city. Following careful review of applications submitted this fall from instrument ensembles at 22 public high school campuses in Bexar County, the San Antonio Symphony’s Education Committee has selected the following high schools for participation in the program: Legacy High School Band Program (Southwest ISD), John Jay High School Orchestra Program (Northside ISD), and Burbank High School Mariachi Program (San Antonio ISD). All three of the campuses chosen have high concentrations of economically-disadvantaged students, the majority of which are not able to afford private music lessons and are unable to realize the potential of their musical talent. Participating in the residency program not only boosts morale, but it serves as an outlet for personal and professional development. While financial constraints prevent many families from investing in the fine and performing arts, programs such as this highlight the hard and commendable work of the student, increasing access to the art form. Tailored to the specific needs of students it serves, the High School Residency Program involves regular visits by San Antonio Symphony musicians to partner campuses. During ensemble class time, Symphony musicians mentor and guide young emerging artists in developing fine instrumental skills. The program provides a deeper appreciation for quality music and the development of professional careers in the fine arts. 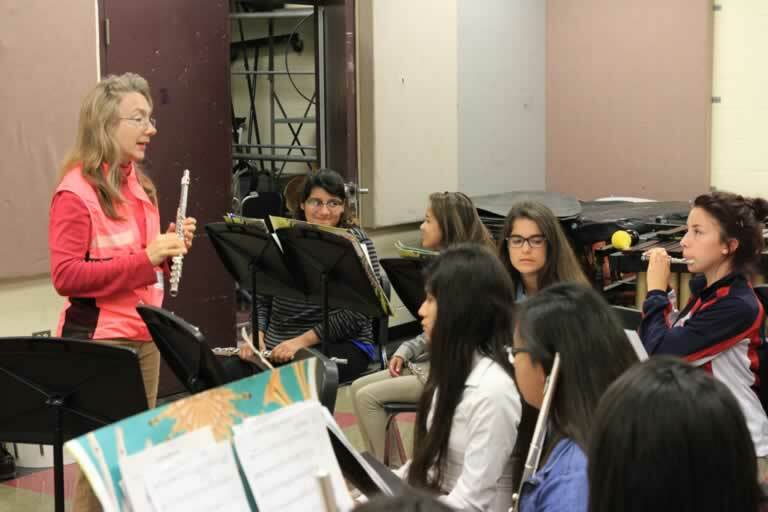 The program aims to inspire students to continue their advancement in music learning, support local music education programs, and advance the development of meaningful connections between area students and the musicians of the San Antonio Symphony. The program offerings are at no cost to the partner campuses and will start this December. Through the High School Residency Program, over 400 students will have the opportunity to connect with the San Antonio Symphony. The San Antonio Symphony, established in 1939, is a nonprofit performing arts organization with the mission to inspire and enrich its community by influencing the artistic fabric of San Antonio through excellent symphonic performance, education, and service. Under the dynamic leadership of Music Director Sebastian Lang-Lessing and Assistant Conductor Noam Aviel, the San Antonio Symphony gives more than 100 performances on an annual basis, including classics, pops, educational programs, movie concerts, and performances with our fellow resident opera and ballet companies. With more than 70 professional musicians, the Symphony serves over 130,000 people per year including over 50,000 students. For more information about the San Antonio Symphony, please visit SASymphony.org. Follow us on Twitter @SASym and Instagram @SASymphony and like us on Facebook.